April 2016 - Skin Renewal Newsletter is out! In this month’s newsletter, we hope to shed some light on an age-old problem, which has been around since the dawn of humanity. A condition that plagues a massive percentage of the population, but is often not treated holistically and very often not solved satisfactorily. A condition that leaves the patient depressed, very disheartened and without a cure. We’re talking about acne, in both teenagers and increasingly in adults. There are many treatment modalities that treat acne, yet few which actually treat all the precipitating causes. For this reason, there is a lack of success in eradicating the problem which is largely due to the fact that many medical practitioners do not fully comprehend the entire package that is this “disease”. Very often, treatment is limited to just treating the symptom, which we see as inflammation, breakouts, and lesions on the skin, but simply treating the skin is not targeting the cause of the problem. The doctors at Skin Renewal adopt a holistic approach in treating acne by addressing all the internal and external causes of the condition in order to achieve success. 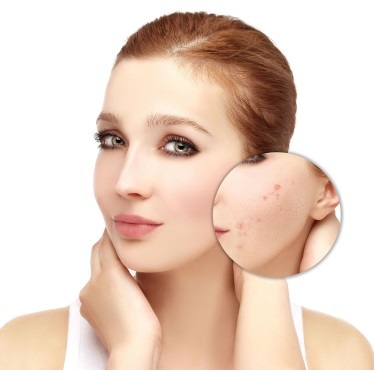 Any ACNE cure needs to take gut and liver detoxification issues into account in order to be effective in the long term. The presence of acne should be viewed as more than just a cosmetic issue — it's a window into your overall health and may indicate a larger health problem. Two of our most popular treatments for acne at Skin Renewal are the Laser Genesis and Titan procedures by CUTERA. A subject now trending on social media is that Kendall Jenner is now suing the CUTERA laser company 20 million dollars for publishing her amazing before and after photos after having completed acne treatments with these lasers. In this month’s newsletter, we aim to educate our readers on acne, its true causes, the various systems in the body that are linked to achieving successful long-term treatment and the management of this condition. Read the rest of the April Skin Renewal Newsletter here.